...by the strength of our common endeavour we achieve more than we achieve alone, so as to create for each of us the means to realise our true potential and for all of us a community in which power, wealth and opportunity are in the hands of the many, not the few. The Labour Party was created in 1900: a new party for a new century. Its formation was the result of many years of hard effort by working people, trade unionists and socialists, united by the goal of changing the British Parliament to represent the interests of everybody. Ignored by the Tories and disillusioned with the Liberals, a coalition of different interests came together to push for change at a Conference on Labour Representation in London’s Memorial Hall in February 1900. For many years the new organisation struggled to take root in the British political system. The conference of February 1900 had not even created a proper ‘party.’ Instead the new body was called the Labour Representation Committee and it had no members, only organisations affiliated to it. 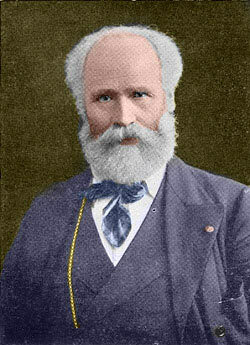 In the elections of that year, the new group made little ground although two LRC MPs were elected to Parliament including Keir Hardie (pictured, left). Indeed Labour’s leaders worked closely with the 1906-14 Liberal Governments, and relied on their majority to agree measures to help Labour, such as the Trade Disputes Act of 1906, and the payment of MPs in 1911. But while Labour in Parliament was “hanging from the coat-tails” of the Liberals, Labour in the country was growing apace. The number of constituency parties affiliated rose from 73 in 1906 to 179 by 1914 and before the outbreak of war prevented the expected election, Labour was prepared to field a record number of candidates. When the Liberal Party split in 1916, the Labour Party was well placed to make a challenge for power. The first real taste of political office came only a year later. Stanley Baldwin’s Conservatives had fought the election on a single issue: protectionism. The Tories lost almost 90 seats, down from 345 to 258. 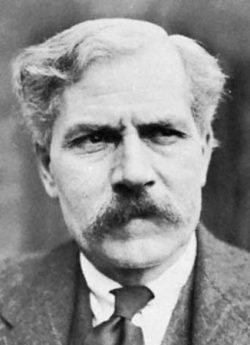 Baldwin had failed to obtain the mandate he sought and declined to form a government, so despite winning 67 fewer seats than the Tories, Ramsay MacDonald (pictured, left) was asked by the King to form a government. The first Labour government had modest objectives and held office for only a few months, but its achievements should not be underestimated. Even without a proper majority in the House of Commons, legislation was still passed on housing, education, unemployment and social insurance. Yet, dependent on Liberal support to remain in power, the government fell as a result of a political row about the actions of Attorney-General Sir Patrick Hastings. In the subsequent election, the Daily Mail published the infamous Zinoviev letter, a forgery which alleged there were links between Russian communists and the British Labour Party. With an atmosphere of fervent anti-communism, Labour lost 40 seats and the Tories were returned to power. Five years later, following the election in May 1929, Labour was back in office, albeit still as a minority administration. MacDonald was again Prime Minister, with iron-founder and trade unionist Arthur Henderson as Foreign Secretary and Margaret Bondfield as Minister of Labour, the first-ever woman cabinet minister of any party. The government was dominated by the world economic crisis, precipitated by the October 1929 Wall Street crash. MacDonald’s government put in place a number of measures to try and resolve the problem of rising unemployment. However, these had little effect and in 1931 unemployment caused a crisis within the cabinet. Politically unable to either cut benefits or increase taxes to deal with the financial problem caused by high unemployment, the government was split and fell. Yet MacDonald did not tender his resignation to the King, but instead offered to form a National Government with Liberals and Conservatives. From being one of its founding fathers, Ramsay MacDonald had turned his back on the party and was seen to have betrayed Labour. He was expelled in September 1931; but in the following election, MacDonald’s coalition won a large majority. The Labour Party was reduced to 52 seats. It was the party’s nadir. With the disastrous election result in 1931, Labour spent almost a decade recovering lost ground. The Party’s new generation, including Ernie Bevin, leader of the Transport and General Workers Union, and the academic Hugh Dalton, led the campaign to renew Labour’s fortunes. Clement Attlee (pictured, left), a major in the First World War who had worked in the London slums, became leader in 1935. With the invasion of Poland by Germany in September 1939, and the replacement of Chamberlain by Churchill as Prime Minister in 1940, Labour was invited to join the government in a war-time coalition. 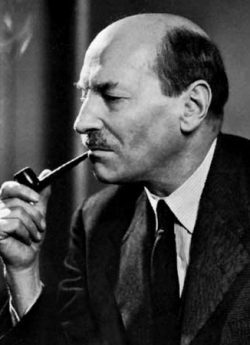 Attlee and Arthur Greenwood, the former minister for health, entered Churchill’s cabinet, and were quickly followed by Ernie Bevin, who was made minister for labour. When the war in Europe ended in May 1945, Churchill called a general election for July. Labour’s manifesto, Let Us Face the Future, captured the public mood for change. It argued that Britain must not return to the poverty and lack of work of the 1930s. Labour pledged to destroy the five ‘evil giants’ of want, squalor, disease, ignorance and unemployment. The result was a landslide to Labour, who won 393 seats in Westminster. For the first time, Labour had a majority and had full opportunity to implement its programme of reform. Labour, with Harold Wilson (pictured, left) as leader, was returned to office on a platform of modernisation and reform. The party’s manifesto, The New Britain, focused on the need for economic and social transformation. In many ways, this is what Wilson’s administration achieved. The period was one of openness and social liberalism, with the legalisation of many taboo practices such as divorce, homosexuality and abortion, and the ending of capital punishment. However, the failure of the government to devalue the pound until 1967 is believed to have restricted the level of economic growth and the new Department for Economic Affairs never succeeded in implementing its National Plan. The party’s majority was increased to 97 in 1966, when Wilson went to the country asking for a mandate to finish the job. With this endorsement, he was able to implement reforms on a range of issues including steel nationalisation and the development of comprehensive education. Wilson’s 1964-70 governments achieved much of what they set out to do. Against pollsters’ predictions, Labour lost the 1970 General Election to the Conservatives under Ted Heath, who in 1971 fulfilled his ambition to take Britain into the Common Market. However, far from delivering his promise to ‘cut prices at a stroke’, Heath’s term saw rising inflation and unemployment, and an energy crisis leading to industrial action and the three-day week. 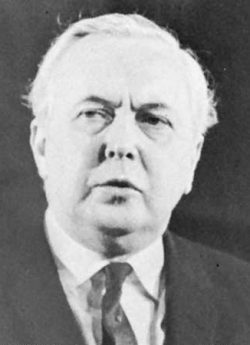 Harold Wilson was returned as Prime Minister in February 1974, but in a minority government which put our legislative programme at the mercy of Liberals and Ulster Unionists. Wilson called another election in October 1974 to consolidate his position, which produced a Labour majority of four. After making modest progress in stabilising the country, Harold Wilson shocked both party and nation by resigning as Prime Minister in March 1976, claiming that he had ‘always planned to retire at 60′. Not long after Wilson’s retirement, however, his mental deterioration from Alzheimer’s disease began to be apparent. He rarely appeared in public after 1985 and died in 1995. Wilson was replaced as premier by his Foreign Secretary James Callaghan, who had also served as Chancellor and Home Secretary in previous Wilson administrations (the only PM to hold all three major offices of state). Callaghan presided over one of the most difficult periods of Government for Labour, with rampant inflation, crippling industrial action led by increasingly militant trade unions, and culminating in the disastrous ‘winter of discontent’ on 1978-9, when rubbish went uncollected and dead bodies unburied. The 1979 General Election saw the Conservatives under new leader Margaret Thatcher returned with a majority of 44 seats. The ensuing leadership contest saw the election of Tony Blair. 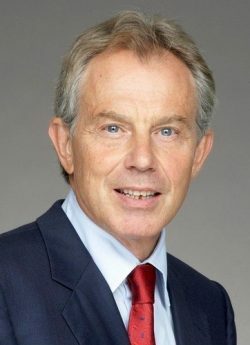 Blair was widely known to be a moderniser and his leadership election statement was clear that Labour must be reformed radically if it was to win office again. Yet for any still in doubt, Blair showed his true intentions in his first speech to party conference as leader, when he called for the updating of Clause IV of the party’s constitution. While opposed by some traditionalists, the proposed change won overwhelming support at a special conference in April 1995. This was followed in 1996 by the publication of New Labour, New Life for Britain, the draft manifesto that was discussed and voted upon by party members across the country. Labour’s agenda was fully costed, to avoid the arguments over tax that had dogged them in 1992, and centred on five pledges: education; crime; health; jobs and economic stability. Party members gave the proposals clear endorsement – with 95 per cent backing the plans. The 1997 election campaign saw the Tories in decline – over sleaze, tax rises and division. Labour’s campaign, by way of contrast, was smooth and efficiently run. The party targeted 90 marginal and 216 key seats – the constituencies it had to win if it was to gain a majority. In the event new Labour was shown to have underestimated its popular appeal, winning a landslide total of 418 Labour MPs, including a record 101 Labour women, and a majority of 179. As a Labour Prime Minister, Tony Blair gave new direction to the country with the introduction of a National Minimum Wage, one million more jobs, smaller class sizes in primary schools, and the biggest ever sustained investment in the NHS. On 7 June 2001 Tony Blair led Labour to a second successive victory in a General Election, winning by another landslide. Labour won a majority of 167. Four years later, on 5 May 2005, Labour achieved a first in its history: a third consecutive term in government. Labour had run a positive campaign on investment in public services including the slogan “If you value it, vote for it” in the run up to polling day. The Tories, in contrast, led by Michael Howard had run a negative campaign, largely on immigration and crime. Labour’s majority was 67. On the steps of Downing Street the next day, Tony Blair said: “It’s a tremendous honour and privilege to be elected for a third term and I’m acutely conscious of that honour and that privilege. For the first time whilst Labour has been in government, thousands of party members and members of affiliated organisations were involved in voting and attending hustings meetings around the country, culminating in a Leadership Conference held in Manchester on 24 June 2007. 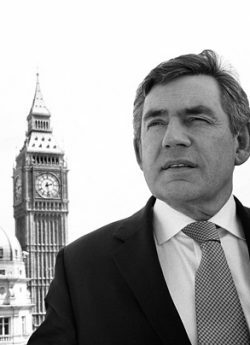 Three days later, on 27 June 2007, Tony Blair stepped down after ten years as Labour’s longest-serving Prime Minister and the ninth-longest serving in our nation’s history to be succeeded by Gordon Brown.At the conference Gordon Brown was declared Leader of the Labour Party, with Tony Blair describing him as “strong in his convictions and true to his principles”. Following a hard-fought contest against five other candidates, Harriet Harman was elected Deputy Leader. Ed Miliband was elected Labour leader in September, 2010. 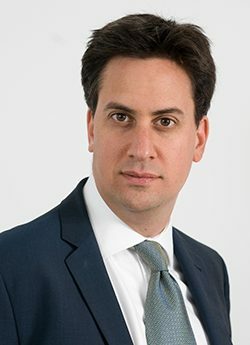 Labour’s youngest ever leader upon his election, Ed was born in North London in 1969 and attended his local comprehensive school, Haverstock. He went to primary school for a time in Leeds. Ed graduated from Oxford University with a degree in Politics, Philosophy and Economics and obtained a Masters degree from the London School of Economics. Before entering parliament, Ed worked briefly as a journalist and later with Gordon Brown and the Labour government. Elected to represent Doncaster North in 2005, he served in the Labour government from 2007 to 2008 as Minister for the Cabinet Office and as Secretary of State for Climate Change between 2008 and 2010. He stood down as Leader in May 2015. 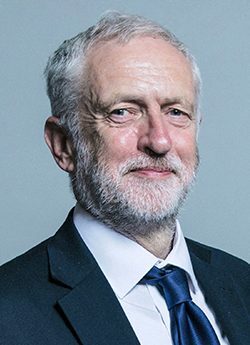 Jeremy Corbyn has been the Member of Parliament for Islington North since 1983 and was elected Labour Leader in 2015. Born in Chippenham, Wiltshire, he worked as a representative for various trade unions before entery politics. His political career began when he was elected to Haringey Council in 1974; later he became secretary of the Islington Constituency Labour Party (CLP). He continued in both roles until he entered the House of Commons as an MP. Corbyn has received awards for his work as an international human rights campaigner. As Labour Leader Corbyn advocates an anti-austerity platform of reversing austerity cuts to public services and welfare funding made since 2010.